Taghvaie, M., Khademi, S., Zamen Gholami, A. (2014). Determining Fruition Levels of Kohgiluyeh and Boyer-Ahmad Province Townships in Terms of Development (Using Morris Technique). International Journal of Advanced Biological and Biomedical Research, 2(4), 1347-1361. Masoud Taghvaie; Samaneh Khademi; Ali Zamen Gholami. "Determining Fruition Levels of Kohgiluyeh and Boyer-Ahmad Province Townships in Terms of Development (Using Morris Technique)". 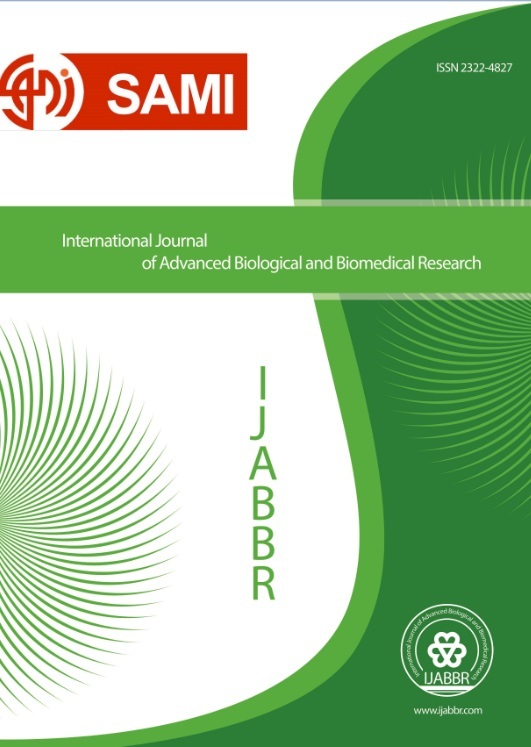 International Journal of Advanced Biological and Biomedical Research, 2, 4, 2014, 1347-1361. Taghvaie, M., Khademi, S., Zamen Gholami, A. (2014). 'Determining Fruition Levels of Kohgiluyeh and Boyer-Ahmad Province Townships in Terms of Development (Using Morris Technique)', International Journal of Advanced Biological and Biomedical Research, 2(4), pp. 1347-1361. Taghvaie, M., Khademi, S., Zamen Gholami, A. Determining Fruition Levels of Kohgiluyeh and Boyer-Ahmad Province Townships in Terms of Development (Using Morris Technique). International Journal of Advanced Biological and Biomedical Research, 2014; 2(4): 1347-1361. Economic and social changes in recent decades led to regional imbalance and inordinate concentration of facilities in some parts and bereavement of other parts. We need to district and regional planning which its objective is providing an appropriate model for balanced distribution of services according to population of settlements or spatial balance in the region. The topics of sustainable development and regional planning are important and notable issues. Nowadays, politicians and managers are trying to develop a program for a region according to regional planning and considering all natural, economic, social, cultural and skeletal potential of that region, and they want to move toward social justice and sustainable development. The beginning wave of using quantitative models during 1960s dual with presenting topics of development and underdevelopment propagated application of these methods in determining development level of regions. The present research is conducted with objective of determining ranking for towns in Kohgiluyeh and Boyer-Ahmad Province. In this research, we determined ranking of mentioned province's towns using descriptive, library, analytic and casual method, Morris statistical approach and 95 indices of development. The result of this research indicates that urban services are distributed imbalanced in towns of the province and this matter resulted in inequality among towns and trend of immigrants to fruited towns. Ranking of the Province towns shows that Boyer Ahmad with 70.19 percentages fruition and Kohgilouye with 62.72 percentages are the most fruited towns among seven towns and Gachsaran with 42.42 and Dena with 15.03 are half-fruited and Behmai, Basht and Choram with 6.53, 2.50 and 0.70 percentages are bereaved towns, respectively.